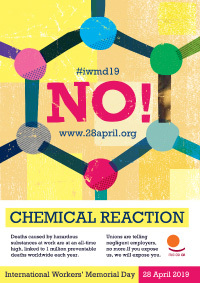 CHEMICAL REACTION On International Workers' Memorial Day, 28 April, unions demand an end to preventable toxic exposures at work. 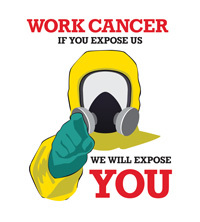 An ITUC/Hazards pin-up-at-work poster.. A Hazards pin-up-at-work poster. News in brief 12-15. Work and health 16-17. 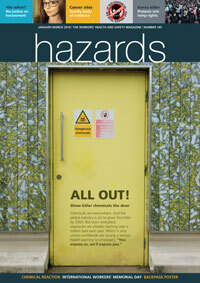 Hazardous substances 18-19. 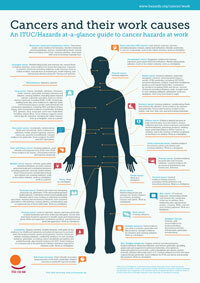 Mental health 28-29. Suicide at work 30-31. Violence 32-33. Deadly business 34-37. Workplace justice 38-39. International news 40-41. If you like what we have to say, then ‘like’ our facebook page spelling out our blueprint for a bigger, better Health and Safety Executive (HSE).